Hundreds of people have rallied against allowing hydraulic fracturing for natural gas in Maryland. ANNAPOLIS, Md. 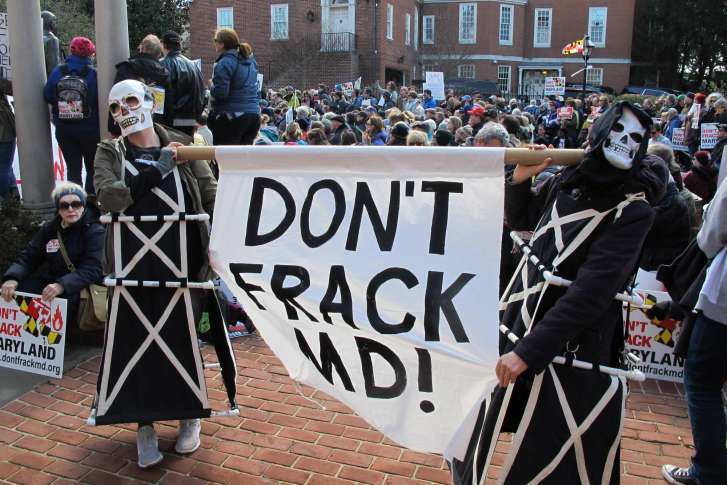 (AP) — Hundreds of people have rallied against allowing hydraulic fracturing for natural gas in Maryland. The rally was held Thursday, as lawmakers on a House committee were scheduled to vote on banning the process known as fracking. The panel ended up delaying a vote until Friday. Josh Tulkin, director of the Maryland Sierra Club, says regulations can’t make fracking safe, just as filters on cigarettes can’t make smoking safe. Supporters, however, say allowing the drilling could create jobs in western Maryland. They say it could be done safely, because the state has created strong regulations. Maryland currently prohibits fracking, which involves pumping water, sand and chemicals deep underground to break up rock and release natural gas. A state moratorium on issuing permits ends in October.